A girl bound by loneliness and depression was set free and set on fire with the power of the Holy Spirit. A pastor's son had walked away from God to the world where he experienced hurt, pain and bad things. When he came back to God and the church he found the joy and peace he was looking for. He was baptized dramatically in the fire of God. Slain in the spirit on the floor weeping and receiving from God. A pastors wife was electrified with the Holy Spirit's fire. Something she had experienced in over 30 years! Congregations fell under the glory cloud, and could not move. The presence of God was so intense they sit in holy hushes under the glory cloud of the Lord as they enter into the Holies of Holies. Many youth set apart, sanctified, and set on fire with the Holy Spirit. These are a few of the many miraculous and supernatural encounters that are taking place on a daily basis! I just wanted to thank you for your ministry and fellowship. Your kind and humble spirit was felt by all, your genuine love and sense of purpose has inspired us. 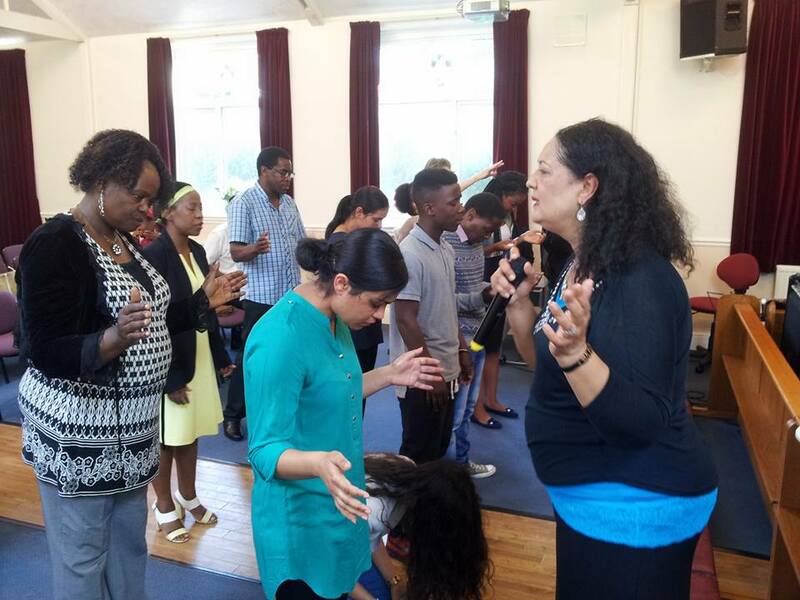 The ladies in our church were truly blessed and empowered. They can't stop talking about you. Thank you so much! Thanks for coming to our church and fellowshipping with us. Please come back again. I look forward to working with you. We appreciate all of your informative teaching. May God continue to richly bless you and prosper you. You are good at what you do! In fact, you are a gift to us. Thanks! I saw a ship out in the ocean, Pastor Otis was fishing he cast his fishing rod. He caught a specimen from the ocean it was something no one saw before people were excited it was awesome. The Lord said when Pastor Otis casts his net he will bring people of all nations in he will draw in Great men and women it will cause great excitement in the world and in the press. The Lord said this was just a drop in the bucket of fortune to come your way and with great blessings you shall receive a new level of giving and miracles Amen. The ocean in the eyes of men is huge but the call I have on you for such a time the catch shall be over flowing and it will be a drop in the bucket. Men seek you for gain do not have blinders on for by there words they shall be snared. You have found favor and you will be protected by My favor for doors will open abundantly and you will meet the call and you will share the abundance of living in God's grace. One door will shut and 10 will open. Stir up what is needed for remember you are a mere man but you serve the living God of riches, health and open doors Amen. While Bishop Clark, Dr. Gwyneth, and Pastor Star were out ministering they stayed at a hotel in Alabama where they encountered a man that recently had his truck stolen. He desired prayer for the return of his truck. Bishop Clark, Dr. Gwyneth, and Pastor Star prayed the prayer of faith with the young man. They decreed and declared that his truck would be returned the next day. The next day they saw him and his countenance was bright and he looked different because his truck was returned without incident. Through this sign and wonder his faith in God was renewed and he decided to begin regularly attending church. He told his mother what happened and she was full of joy because her prayer for him to draw closer to the Lord was answered. God answers prayers! I received an impartation from Bishop Otis Clark at a service in Texas City, Texas. It was a powerful night in where his daughter Dr. Gwyneth Williams and his granddaughter Pastor Star Williams preached and declared what was about to occur in our world. The message of revival was empowering and revitalizing especially during a time when it is so desperately needed. When my turn came to receive an impartation from Bishop Otis Clark, he grasped my hands held them for a moment and released them. I did not feel anything, but I knew that I had just received something. I quickly found out! At 1:05 AM in the morning, I heard the Lord say that I had just received the mantle of the Holy Ghost. Well, I had never heard of that mantle before but I rejoiced. Several hours later God woke me up and gave me a Divine Vision as a result of the impartation. God showed me a vision what would take place in Houston, Texas, during the month of March. This was significant because the first month of the Jewish calendar is the month of Nissan, in the spring, when Passover occurs which is March. During the month of March there will be a gathering of the people of God who will represent the faithful remnant. In this Vision, Bishop Otis Clark, Dr. Gwyneth Williams, and Pastor Star Williams represented the Father, the Son, and the Holy Spirit. The Anointed Ones were marching down a street in Houston, Texas, along with Priest, Elders, Apostles, Prophets, Evangelist, Teachers, and the Presence of God. Leaders from all over the world where marching to release the power of God for this appointed time and day. At the end of the demonstration the ram horns (shofar) where blown by the Priest and the people began to shout. Revival broke out in Houston, Texas on this day but the impact was felt all over the world. The earth shook and Miracles manifested such as: the blind eyes opening, the deaf hearing, the lame walking, the dead came forth, and so much more. The lost were drawn by the voice of God and were baptized with the Holy Ghost. 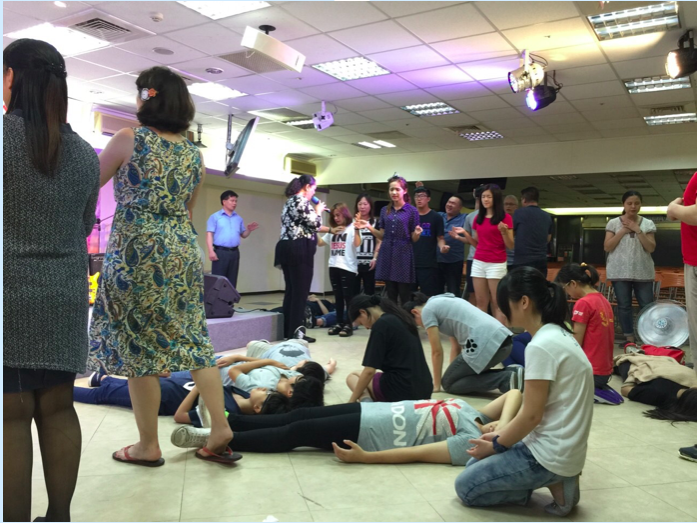 People began to speak in foreign languages, and spiritual gifts were activated. The magnitude of miracles were overwhelming in the United Stated, but where not to be compared to some of the miracles that took place in Haiti, Egypt, Africa, and in dry places where there was no water. The earth opened up and sprang forth water in areas where there had been no drilling. Places that were waiting for water received it by the power of the Holy Ghost. The Vision that God should me was of a magnitude that we had not seen in this generation. The Land Revived! “Be glad then, you children of Zion, And rejoice in the Lord you God; For He has given you the former rain faithfully, And He will cause the rain to come down for you—The former rain, And the latter rain in the first month. (Joel 2:23; NKJV). The former rain came in October- December to prepare the seed, while the latter rain came in March- May which is the first month according to the Jewish Calendar and it brought forth the manifested fullness of God. Revival is coming to your town in March!